Posted by cibercult in Japan, Tecnología, terremoto. 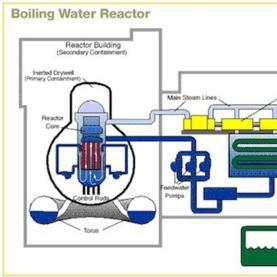 BOILING WATER REACTOR SYSTEM: The system’s inverted lightbulb primary containment vents below through pipes to a pressure suppression torus. Once that torus breaches due to overpressure, the secondary containment is all that separates the released radioactive steam from the outside environment. – The big pictures. Fotografías de Japón en su tragedia.